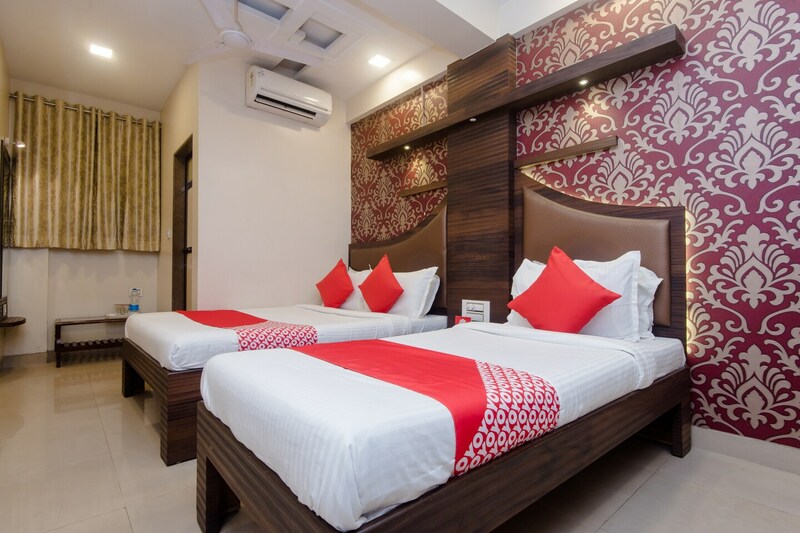 Hotel Elite Inn has compact and comfortable rooms with all the essential amenities for a pleasant stay at pocket-friendly prices. The rooms are bright and have stylish wallpaper standing out as an accent for the room. The room also has a table and sufficient storage space for guests to unpack. The bathrooms are equipped with geysers so that hot water is available as needed. The hotel offers a common seating area, dining area, and free WiFi connectivity. There is a parking facility provided as well as power backup. There is an in-house restaurant so guests do not need to go far to satisfy hunger pangs. The hotel is located close to the Turbhe railway station.